Packing Guide For Girls: The important……and not so important things to pack when you are a lady! So you want to go travelling? But as a girl its hard to know exactly what to take. For just a weekend away with the girls we need day clothes, night clothes, shoes to match all possible situations and a clutch/purse or 2 as well……not to mention all the cosmetics, hairdryer and of course your GHD. What you take depends on where you travel…… just think, if you’re going backpacking YOU have to carry it all on your back so the general rule is to lay everything you want to take out on the floor and then halve it, and then halve it again! Be RUTHLESS ladies if you hesitate about an item, throw it, you will never wear/use it enough to make it worth carrying. When it comes to cosmetics you really don’t need to take as much as you think, especially if you are travelling to warmer climates, your face will melt off before you’ve finished breakfast leaving you look like a Salvador Dali painting. I prefer to travel with a light powder foundation and waterproof mascara for those times when i want to look a little pretty. 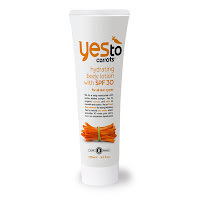 This is a MUST some places you can’t pick up sunscreen easily so if you already have this in your bag your set. 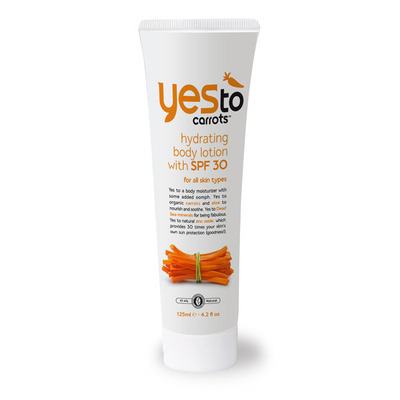 My favourite is Yes to Carrots a great organic option thats 30 SPF. No one likes a burnt face…..and this has saved me many times!!! 3. Hand Sanitizer and a purse size pack of tissues. This is actually something I keep on me at all times but a couple of supplies really doesn’t hurt. Most underdeveloped countries dont have the same standards of bathrooms we are used to in our western world, having this on hand keeps you out of any awkward situations with you a hole and having only a hose instead of any toilet paper in the toilets. 4. A supply of your pill/contraceptive that will last the entire journey. I personally like to be on the pill so I can choose when and where I have my period. If I want to skip it I can and quite often do. I have spoken to quite a few doctors who have all said that this is fine to do and doesn’t cause any issues at all, but always check with your doctor if you are unsure. The pill will last you 4 weeks but if you are skipping then this will run out faster. Make sure you have enough to last you the entire trip……if you need more just ask your doctor when you get your script if your can get your entire script filled at once. This is usually about a years worth and I have never had any trouble getting this all at once so I have plenty of supplies. For some places you may need to take additional medication i.e malaria tablets. Check with you GP that these wont weaken your contraceptive. If you’re not on any form of contraception, dont worry, there are women all over the world and picking up a pack of tampons at the local pharmacy has never been an issue, no matter where I’ve been. This is a product that i’ve only heard of quite recently but it really makes sense. Its a deodorant that is activated by water, so you wont have any issues getting it through security at the airport and it is made to be dry so wont dry out like regular roll ons. It a natural mineral salt deodorant so doesn’t contain any aluminium, fragrances and is paraben free. 1. Leave the GHD (Hair Straighteners) behind ladies….trust me the humidity of most places will destroy all of your straightening efforts as soon as you walk out the door, and if heading to colder climates, get a hat! 2. Heavy foundation, people are not expecting you to look flawless and as I said earlier…if your sight seeing all day your face will eventually melt!!! 3. Big bottles full of moisturizer, hair products etc. Its best to avoid any products that could potentially leak and go though everything in your bag. I say, if its something you absolutely cant live without then take it, but remember most places will have similar products, you can pick it up there!! !